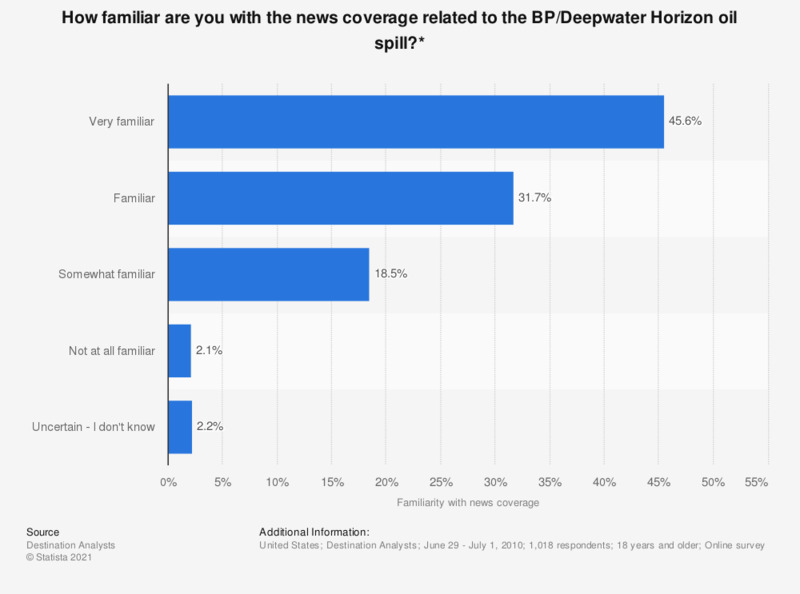 This graph shows the percentage and knowledge of Americans in regards to the BP/Deepwater Horizon oil spill. 18.5 percent of respondents said that they were somewhat familiar with the oil spill new coverage. * This question was only asked of respondents who felt the oil spill effected the likelihood of travel to the Gulf Coast region. How will the oil spill effect the likelihood of you visiting or traveling within the Gulf Coast states in the next twelve months?